Did you know we live in a universe of overwhelming size and beauty? It contains about 100 billion (100,000,000,000) galaxies, each of which contains about 100 billion stars. Did you know we live in a universe of overwhelming size and beauty? It contains about 100 billion (100,000,000,000) galaxies, each of which contains about 100 billion stars. Did you know that according to the secular model, none of them should exist? In this video, you'll see how recent discoveries contradict the naturalistic view of history. 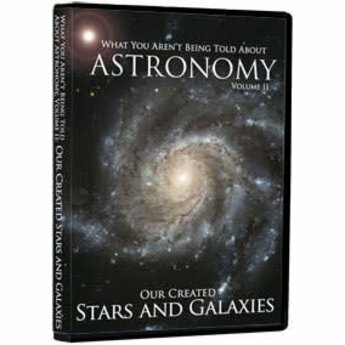 You'll hear the words of secular astronomers, as they admit that their models fail to explain the contents of the Universe. 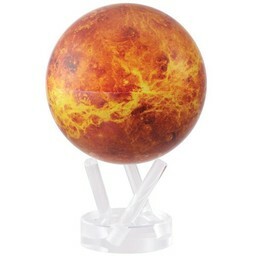 You'll discover evidence for design in the heavenly bodies. 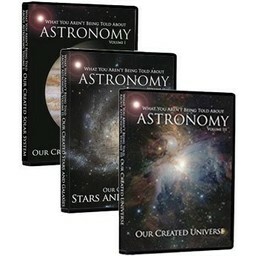 And you'll see over 130 breathtaking photographs, videos, and graphics from NASA and other sources, revealing some of the most beautiful objects in the Universe. 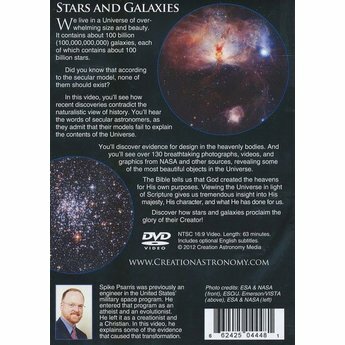 The Bible tells us that God created the heavens for His own purposes. Viewing the Universe in light of Scripture gives us tremendous insight into His majesty, His character, and what He has done for us. 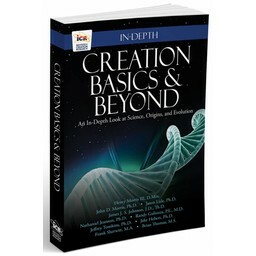 Discover how stars and galaxies proclaim the glory of their Creator!